Spend five days exploring Cyprus, discovering the multi-layered archaeology of the island’s past. 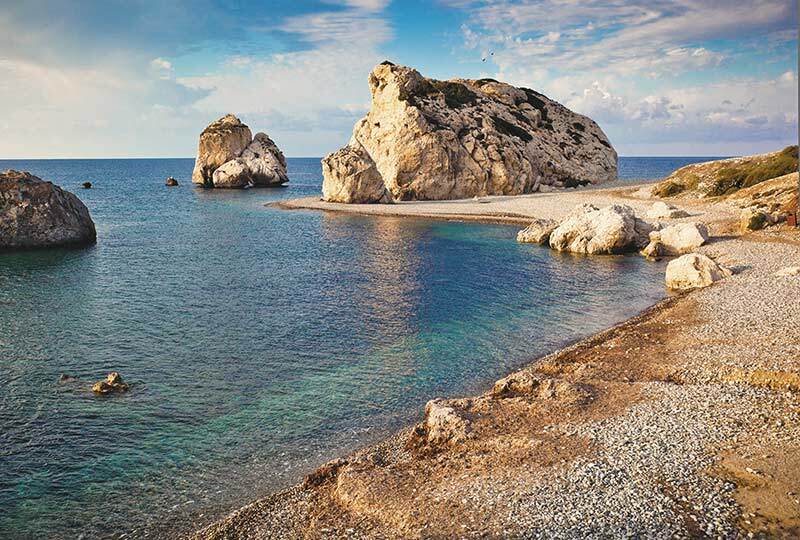 In Paphos, visit the Greek goddess Aphrodite’s sanctuary, complete with its cult temple and other significant buildings from Greek and Roman history. Explore the Tombs of the Kings and the Catacombs of Saint Solomon, a series of chambers hollowed out in Hellenistic times and now housing religious icons from the 12th Century AD. 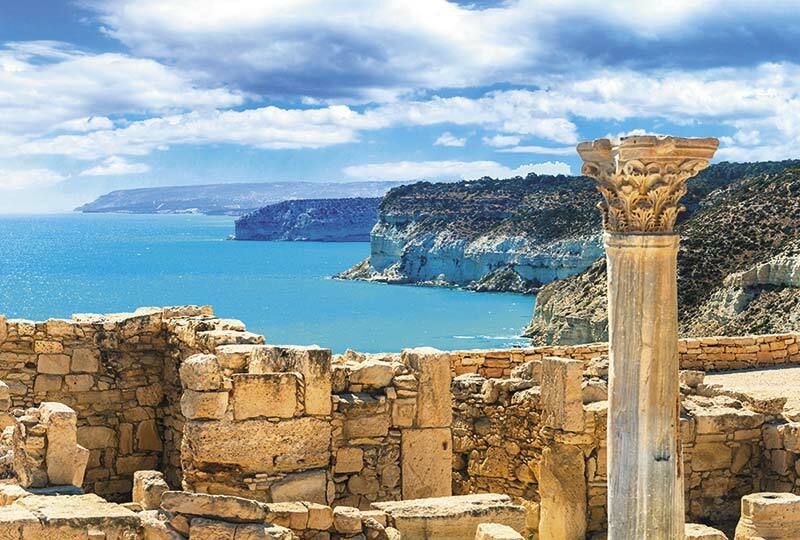 Visit the archaeological site of Ancient Kourion to view the Greco-Roman theatre overlooking the Mediterranean Sea before heading to Nicosia via the dramatic Troodos Mountains, home to traditional villages, Byzantine monasteries and stunning scenery. 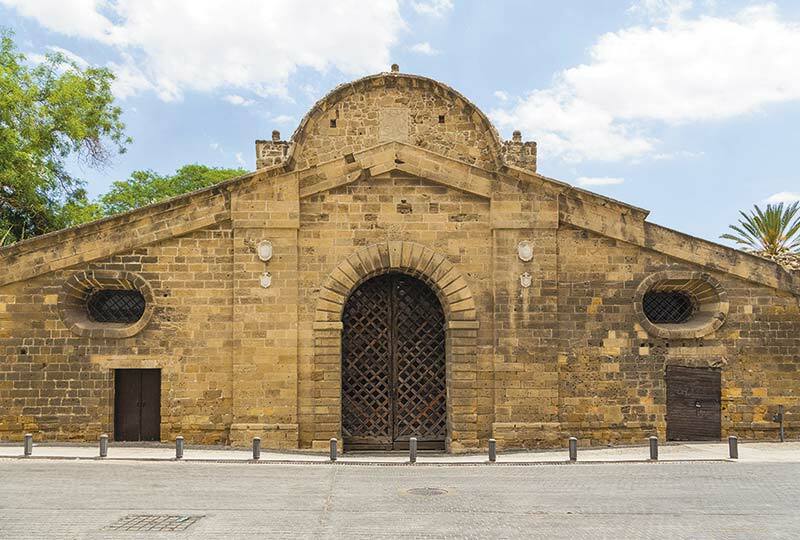 In Nicosia, visit two superb museums of archaeological significance. Designed as a post-tour for The Birth of Civilisation. Depart Australia or New Zealand on suggested Qatar Airways flights to Larnaca via Doha. Renaissance Tours or your travel agent can assist you with your flights and other travel arrangements. Arrive in Larnaca in the mid-morning on suggested flights and transfer to Paphos. On the way, stop to view the Rock of Aphrodite, the place where the goddess is said to have risen from the sea, as depicted in The Birth of Venus by Renaissance artist Sandro Botticelli. On arrival in Paphos, enjoy some time at leisure before a welcome briefing and talk with Julian, followed by dinner. This morning, visit the Paphos archaeological site to explore the cult centre for the Greek goddess Aphrodite. Wander the streets of the ancient city, taking in the sights of the temples, theatre, Roman villas as well as an ancient hospital. Enjoy some free time for lunch around the scenic Paphos harbour. In the afternoon, enjoy a guided tour of the Tombs of the Kings. Featuring Doric columns and frescoed walls, these tombs were built to house the remains of the 4th Century BC nobility. Then visit the Catacombs of St Solomon, a series of chambers hollowed out by the Hellenistic Greeks which now house Christian religious art from the 12th Century AD. Depart Paphos this morning for the archaeological site of ancient Kourion, one of the most influential cities of ancient Cyprus. 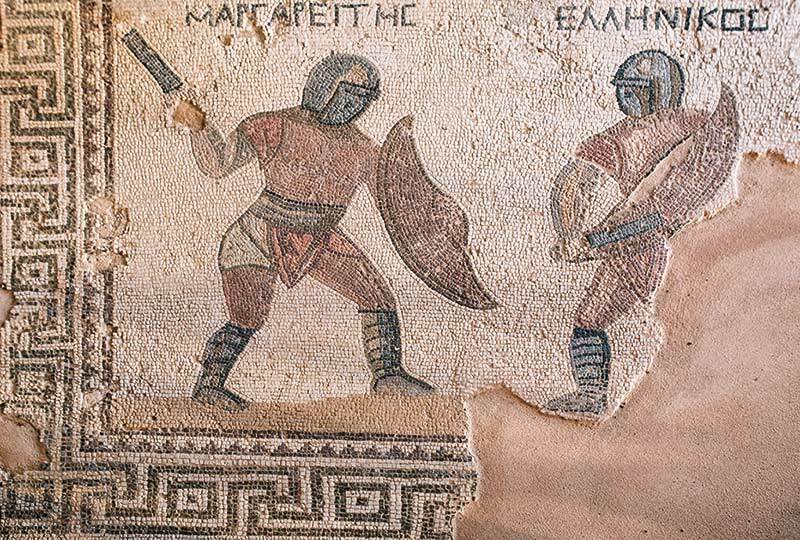 View the rich mosaics in the House of the Gladiators and admire the expanse of the Mediterranean from a prime seat in the ancient theatre. Enjoy a scenic drive through the Troodos Mountains, stopping for lunch in the small village of Omodos. 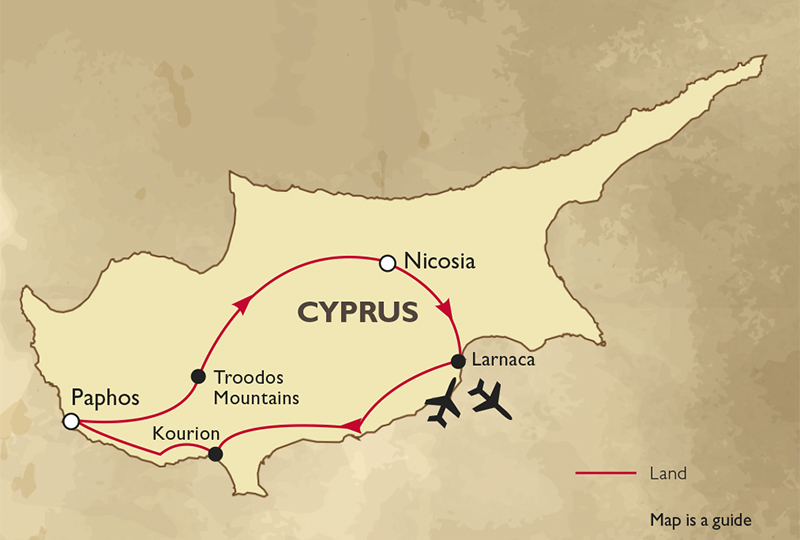 Pass through traditional towns and Byzantine monasteries to the capital, Nicosia. The remainder of the afternoon and evening is at leisure. Begin the day with a talk by Julian followed by a guided tour of the city, the world’s last divided capital. The guard towers and the Green Line split the island into Greek Cyprus and Northern Turkish Cyprus. Visit the Archbishop’s Palace, St John Theologian Cathedral and the Famagusta Gate. After lunch, visit the small but intriguing Museum of the History of Cypriot Coinage, which houses a numismatic collection spanning from the Hellenistic period to the Medieval, as well as a collection of works of art, antiques and rare documents. Enjoy some time at leisure in the afternoon followed by dinner in a local restaurant. Start this morning with a visit to the excellent Leventis Museum, housing a unique collection of works which include archaeological artefacts, traditional costumes, maps, photographs and furniture from different periods of Cypriot history. Then, transfer to Larnaca harbour to board the cruise vessel for lunch. Australian and New Zealand passport holders do not require visas to visit Cyprus.